Be kind when you camp. 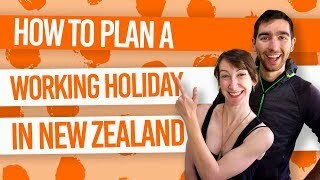 Going camping in New Zealand? Lucky you! There’s nothing like setting up camp in a quiet campsite with the Southern Hemisphere stars above and dozing to the sound of the native bird calls. 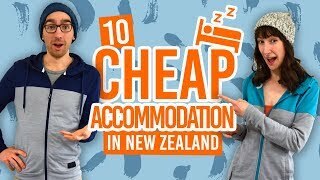 To keep New Zealand’s campsites extra special, there are a few rules of camping in New Zealand to be aware of. Plus, you’ll no doubt want to avoid fines. So read the list below for a smooth camping trip! In order to protect our beautiful landscape, camping in New Zealand is strictly limited to designated areas. 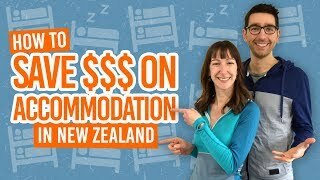 Do not camp where it is clearly not permitted or you could be fined NZ$200 – argh! Campsites have varied facilities from the completely basic to almost like a luxurious holiday park, so it’s always a good idea to check the price and inclusions. Finally, when on a multi-day hike, set up camp on firm, high or sandy ground. Make sure to always leave campsites as clean (or cleaner) as you found it. If bins are not provided, then take your rubbish with you, as it can be a threat to wildlife. 3. Don’t burn the forest! It seems pretty obvious, right? But small fires can easily get out of hand if you don’t know what you are doing. Only use a small gas stove, a well-made fireplace, or a barbecue. Or, you know, you could always just eat your dinner cold. Light a fire only where explicitly allowed – a lot of campsites have designated fireplaces. Burn dead wood instead of live wood that will burn less and keep your fire small. Finally, soak the fire with water before you go. All chemicals like detergent, soap and toothpaste can harm aquatic and marine life. Take extra care and use biodegradable products and wash in a container well away from water sources. All in all, don’t take a shower in the river! 5. Don’t poop in the bush! It’s tempting, we know. Firstly, nobody wants to stumble upon that, and secondly, your toilet paper may take months to biodegrade. Always use the toilets provided in the campsite! Campgrounds are great places to meet like-minded travellers but everyone needs some rest and relaxation. Plus, most campers choose to camp to make the most of the spectacle of nature. Don’t throw a party, play loud music, or make excessive noise that would ruin other campers’ experience. Generally in campsites, where permitted, the use of a generator is prohibited during following hours: 8pm to 8am. This is an obvious one, but a reminder is always welcome. Many DOC campsites are unattended so it is up to you to get online and pay for your stay. This will help keep campsites available in the future and you will avoid a NZ$200 fine. Rangers regularly visit campsites to check for compliance and do not hesitate to issue fines. Take the time to thoroughly clean your equipment before and after trips to minimise the spread of weeds and diseases. The New Zealand ecosystem is extremely vulnerable to diseases, which you can help protect. You will find that even before being granted entry to New Zealand at the airport you will be asked to clean your gear at the biosecurity counter. Some species of New Zealand trees have fragile roots that can be harmed simply by walking over them. Stick to the marked path to help protect the forest. As for the wildlife, don’t fish or hunt it unless you know what you are doing and you have a license. Don’t feed them either, as we need our wild animals to know how to feed themselves. Not that theft is a huge issue in New Zealand, but better be safe than sorry, right?! Remember to lock your vehicle and take your valuables with you, or at least hide them in the boot of the car. If you are driving a rental vehicle or your own vehicle, remember to check whether your car insurance covers the use of unsealed (gravel) roads. Many campsites are only accessible by gravel roads.